Also, I think I will be buying a butterfly display from Etsy, I absolutely love these two! I can't believe that tomorrow is Halloween, it just seems like the year has came by so fast. Since I'm in college right now, and have exams all this week, I haven't taken too much time to decorate, so I've been sporting cat ears all week and wearing Halloween t-shirts. Now to figure out exactly what I'm going to dress up as tomorrow. Any who, what are your plans for Halloween? Yesterday I was on YouTube and came across this video of a ballet dancer doing a routine on top of a grand piano with kitchen knives attached to her pointe shoes. I cannot tell you how much I love the raw emotion within her as a dancer, you can see her emotions and he r struggles, and that even if she's finding it difficult to stand, she can still do her routine without falling. I think the concept of this is just immaculate, intriguing, and I can't seem to take my eyes off of it even after the third time watching it. These are the shoes that she wore, aren't they beautiful? 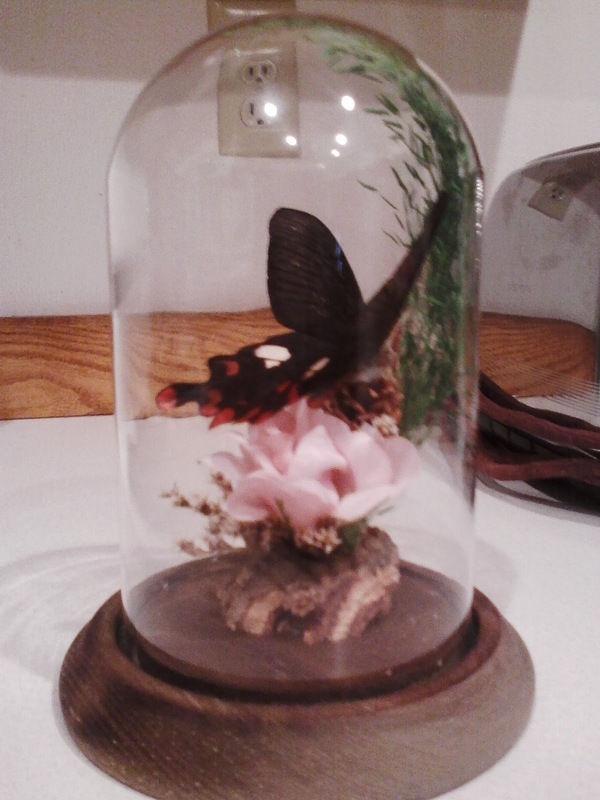 I haven't really made a post about this, but I finally have found a butterfly dome piece! I have literally been looking for these in antique shops for the past year or so and I finally came across one on my vacation to Chicago last weekend. I can't even explain how stoked I am over it! On the bottom of this it says that the butterfly is a Byasa Polyeuctes "Chinese Cowboy" and is from Indonesia. Here's a picture of what it actually looks like if it were to be spread out. Do any of you collect these types of things? Seen them? or recommend on where to get them? I've been trying my best to find preserved animals and butterflies but I think you have to honestly find the right shop in order to get them. I have also been looking on Etsy for the longest time, but I am so afraid of it getting damaged in the mail. I don't know about you guys but I feel an absolute lack for inspiration for Halloween right now. From exactly today there is 7 days til the candy filled, diabetus starting, drunk adults holiday. I still have absolutely no idea as to what I really want to dress up as. 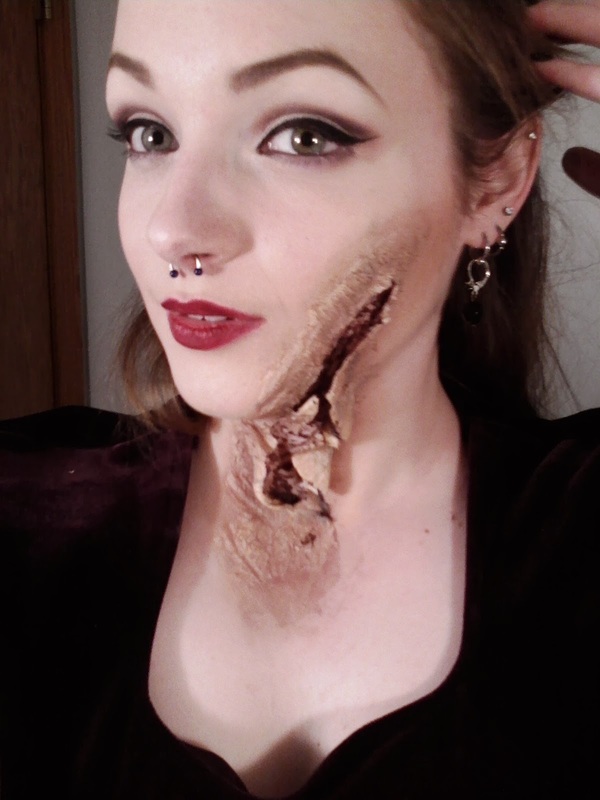 I feel like doing a grotesque pin-up themed zombie, but than again that's becoming cliche. Here are some photos I've kinda been mesmerized over for the past few days. Today will be the day where I finally will start a blog. I can't describe how curious and excited I am about it! I've been wanting to do this for so long but really never knew where to start, so I'm going to take a stab at it and see how it goes. Where's my manners, I forgot to introduce myself. I go by Kitten, but if you would rather call me by my first name, it's Breyonna. So call me whichever you prefer. 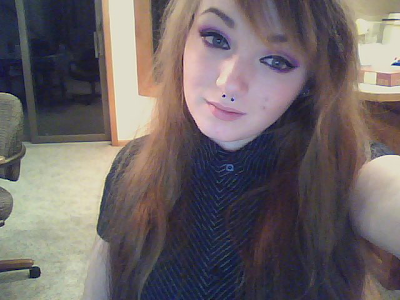 I am an 18 year old internet addict who has a little obsession with cats and make-up.